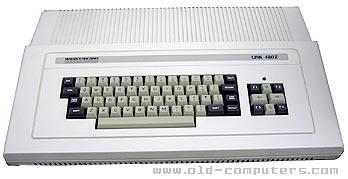 The basic version (cassette based with 32 KB of RAM and 8 KB ROM Monitor) could be extended to a real professional CP/M based system with network ability. The 480Z was fully compatible with the 380Z. It was initially released in a black metal case prior to tooling being made for the subsequent beige plastic case version. SIZE / WEIGHT 53(W) x 33.5(D) x 8(H) cm / 3.2 Kg. see more Research Machines LINK 480Z Ebay auctions !